Fleming’s White Bridge – Holiday Park, Ballycasheen Road, Killarney, Co. Kerry, Ireland, V93 HW56. Think “Bridge” when trying to remember Fleming’s White Bridge. Ensure you are on the correct site as it is well worth finding this delightful spot! 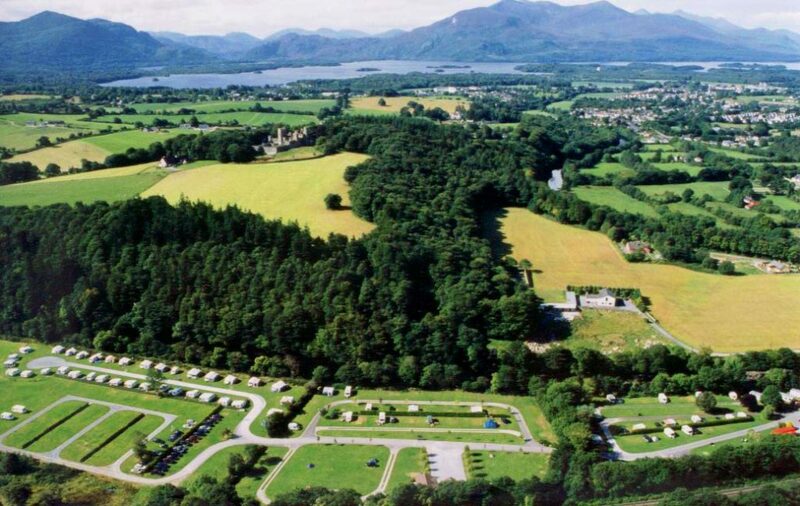 We have a unique, beautiful camping location, situated in the “Lake District” of the Southwest of Ireland on the banks of the River Flesk and at the gateway to one of Ireland’s most magnificent National Parks. Continue for 300m to archway entrance. N.B. Hikers/cyclists can take a shortcut through the housing estate at the bottom of the hill after passing the Killarney Heights Hotel. Click the map below to download a handy pdf that you can print off. Look out for our sign!